Political advances can't happen with a government in paralysis. But systems aren't as broken in Nevada, Dallas, or Baton Rouge. For as many times as we may have asked lately, “But, what can I do?” the 2018 midterm elections remind us how much local engagement and influence matters. It’s time to act. As the U.S. Departments of Justice, Education, Health and Human Services reconsider federal civil rights laws that protect transgender people, and as the courts continue to block the implementation of Donald Trump’s proposed ban on transgender military service, state and local laws, and the policies of institutions, deserve our attention. Changes in federal policy are only part of the civil rights equation. Working toward better federal laws and more inclusivity at the national level is essential, but it’s neither enough nor our only option. Even when federal laws mandate equity, experiences on the ground vary at different institutions, and in different geographic locations. Institutional policies, local ordinances, and state laws can also promote inclusive workplaces and educational environments. Policies don’t just happen, they are created by leaders. Action to revise and implement protections beyond the federal government is available to all of us within our own communities, institutions, and states. Federal legislation is important to the progress toward civil rights for transgender and gender non-binary groups, but it’s not the only opportunity to address inequities. States, after all, have more power to act than the federal government, which has only limited authority and impact. There is a long history of states being the first to act to address those inequities. The state of Wyoming affording the right of women to vote in 1890, 29 years before that passage of the 19th Amendment. Today this effort of states to lead the way continues. A California law, signed by former-governor Jerry Brown, specifies that high school students can join sports teams and use bathrooms based on their gender identity. In 2017, the Oakland City Council, led by Council member Rebecca Kaplan, approved expanded public access to gender-neutral bathrooms, a critical public health, and safety issue for our communities. And as of January 1, 2019, the state of California legally recognizes non-binary as another gender on official state identification documents. Brown also signed the Gender Recognition Act that allows greater choice for intersex, non-binary and transgender Californians who apply for driver's licenses and state identification cards. Other states -- and other countries -- have already adopted, or are considering, similar legislation. Leadership at the state and local level can cause a ripple effect of change that directly impacts people’s lives. The leaders of higher education institutions must also stand up to this challenge. 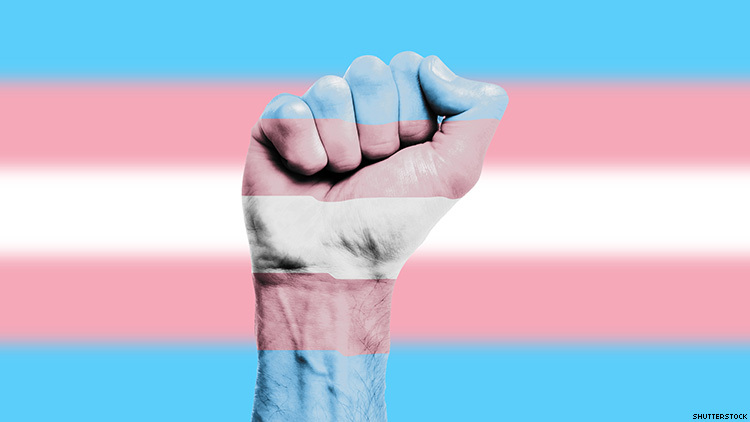 At Mills College, our institutional commitment to inclusivity, including for transgender people, is a core value regardless of federal mandates. In 2014, Mills was the first women’s college in the U.S. to adopt a transgender-inclusive undergraduate admissions policy, setting a new standard that has been followed by nearly every U.S. women’s college, and most recently, by Ochanomizu University in Japan. Yet we have work to do to create and maintain an inclusive academic community at Mills, an aspiration that requires constant vigilance. As new federal policies restrict protections for transgender people, we can act locally to influence our communities. As leaders, we must listen to those most affected by discrimination and make our own positions and voices clearly heard. Educating ourselves about the legal protections currently available in our institutions, cities and states is the first step. The Transgender Law Center, located in Oakland, Calif., and the largest trans-led civil rights organization in the U.S., is a good place to start. Transforming local law and policy may be the best way to advance equity and seek justice. DR. ELIZABETH L. HILLMAN is the 14th President of Mills College in Oakland, Calif. DR. CHICORA MARTIN serves as the Vice President of Student Life and Dean of Students for Mills College.